Is trampoline coach the best job at the Olympics? 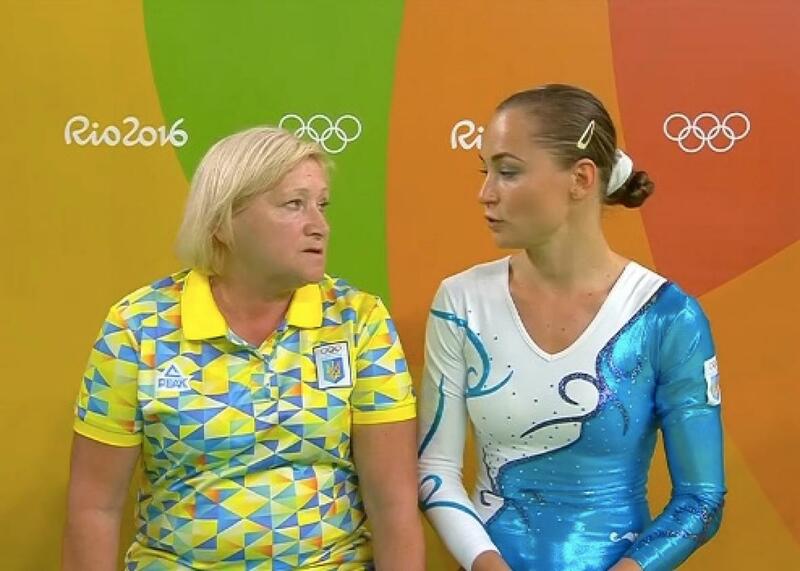 Trampoline coach and trampolinist at the 2016 Rio Olympics. Job description: Provide trampolinists with trampolining advice. Dispense hugs and/or discipline as situations warrant. Wait with trampolinist while judges determine scores. Why this might be the best job at the Olympics: You have a very important role. As a trampoline coach, you are responsible for training young trampolinists to become trampoline champions. You will devise a series of trampoline drills to improve your athletes’ trampoline skills. You will get to use your brain as a trampoline coach. You will come up with jumps that would be cool to see performed on a trampoline, and then you will instruct your athletes to perform those jumps in a sequence of your choosing. When you tell your athletes to jump, they will say, “How high?” You will tell them how high, and they will bounce precisely that high off of the trampoline, because you, the trampoline coach, told them to do so. Your job is whimsical! It involves a trampoline! Sometimes you will get to use the trampoline yourself. Most of the time, you will just sit and watch other people use it, which is totally fine, because trampolining makes you, the trampoline coach, quite tired. As a trampoline coach, you will have ample opportunity to sit back and enjoy life. This job will bring you a great deal of media attention. When your athlete waits to see what score she has earned for her trampoline routine, you will sit next to her, a comforting presence, as the eyes of the world are upon you. “There he or she is, the coach of this athlete,” the commentators will say. It will be your choice whether to crack a joke, offer your athlete a comforting arm, stare directly into the camera and hiss, or simply scratch your head. You can write your own ticket in this great job. You have a great chance at glory as a trampoline coach. If your trampoline pupil wins gold, he or she will thank you profusely on national television. “I couldn’t have done it without my trampoline coach,” your student will say. You can wear a tracksuit to work every day for the rest of your life. Why this might not be the best job at the Olympics: You will be second-guessed if your trampoline protégé fails to medal. “The trampolinist was fine. 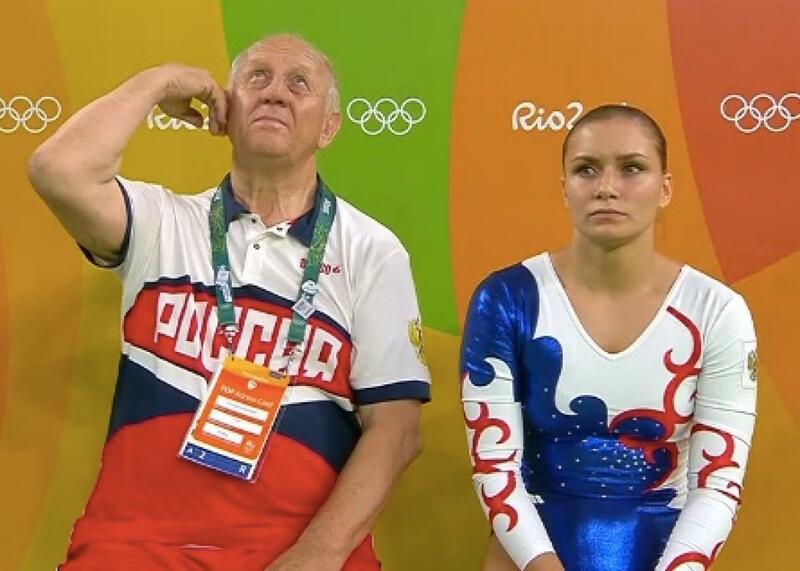 It was the trampoline coach who was the problem,” the critics will say. You will have to defend yourself and your methods to millions of second-guessing trampoline fanatics. The pressure will eat you alive. You will have recurring nightmares that you are falling off the trampoline. You will take up smoking, then quit, then take up smoking again. This job will age you horribly. The trampoline coaches pictured in this article are both just 25 years old. You might not get the respect you deserve from the other Olympic coaches in the coaches’ lounge, if such a place exists. “Trampoline, hmm? I didn’t know that was on the official Olympic programme,” your conversation partner will say, making sure to pronounce the extra m and the silent e at the end of programme. Your conversation partner will then excuse himself to hobnob with a diving coach. You will have recurring nightmares that your tracksuit is shrinking in the wash.
How this could be a better job at the Olympics: The trampoline coach should get to wear a headset, if he so chooses, so he can communicate with his trampolinist while the trampolinist is trampolining. Synchronized trampoline should be added as an Olympic sport, but only if the synchronized competitors are the trampolinist and her trampoline coach. Verdict: I’ll give this job 2 out of 3 for exposure, because if you hiss like a snake at the camera one too many times, they’ll eventually stop pointing the camera at you. 2 out of 3 for enjoyability, because I can imagine the pressure being too much for a high-strung trampoline coach to bear. 3 out of 3 for enviability, because “trampoline coach” is one of those jobs, like “astronaut” and “dragon trainer,” that 5-year-olds dream of having when they grow up. And 0 out of 1 in the category of “Does your job involve wearing a cool hat?”, because a cool hat would kill the gravitas that the job of trampoline coach requires. 7 out of 10 for trampoline coach. This is a very good Olympics job, don’t get me wrong. But this is not the best job at the Olympics. See more of Slate’s Olympics coverage.